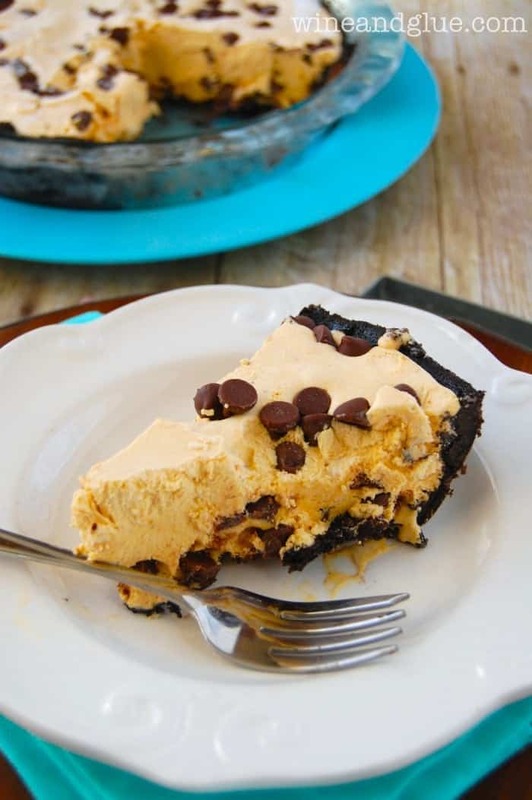 Chocolate Pumpkin Ice Cream Pie! 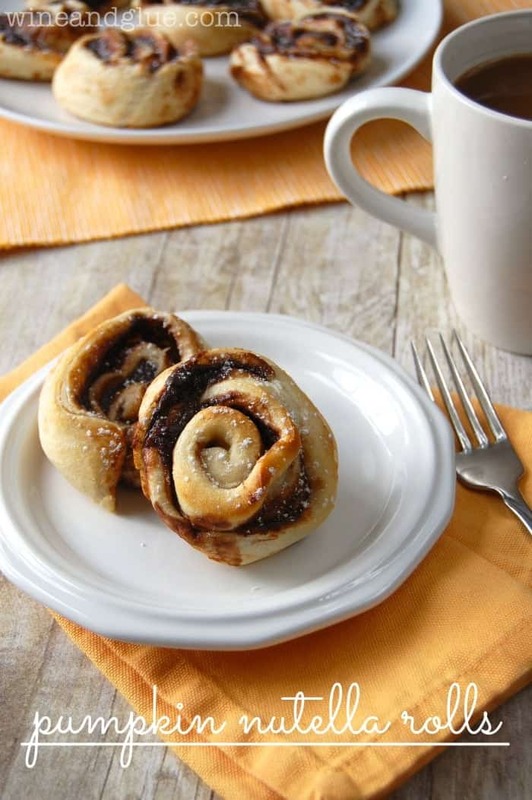 A simple delicious dessert that combines pumpkin and rich chocolate! Yesterday afternoon (which happens to be the absolute craziest time in my house), Gavin looked at his sister, and said, “Come along Assistant Quinny!” To which she yelled, “OKAY!” and ran after him. I should back up approximately 5 minutes. I was washing turkey guts from meatballs off my fingers at the sink when I looked behind me to see Quinn swing this large wooden push toy (like a clackity toy with two wheels and a long stick for toddlers) right at her brother’s head. It was hysterical. We went from swinging wooden objects to Assistant Quinny in less than 10 minutes. It doesn’t so much shock me. I mean, Quinn pretty much worships Gavin until she finds a button that she can push, and then she just kind of goes to town on it. Talk about a love hate relationship. It’s sort of like the relationship I have with this pie. 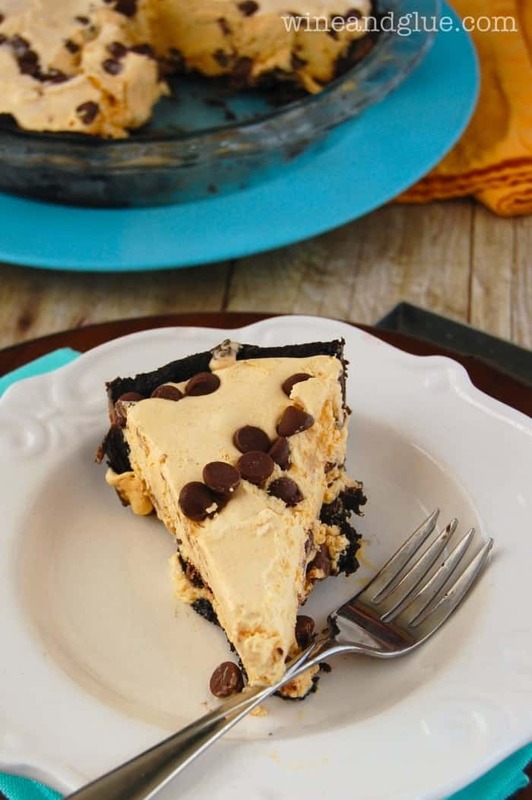 With it’s chocolate cookie crust, it’s creamy rich ice cream flavor and it’s perfect combination of chocolate and pumpkin, it’s absolutely irresistible. But . . . I must resist! My waistline depends on it! 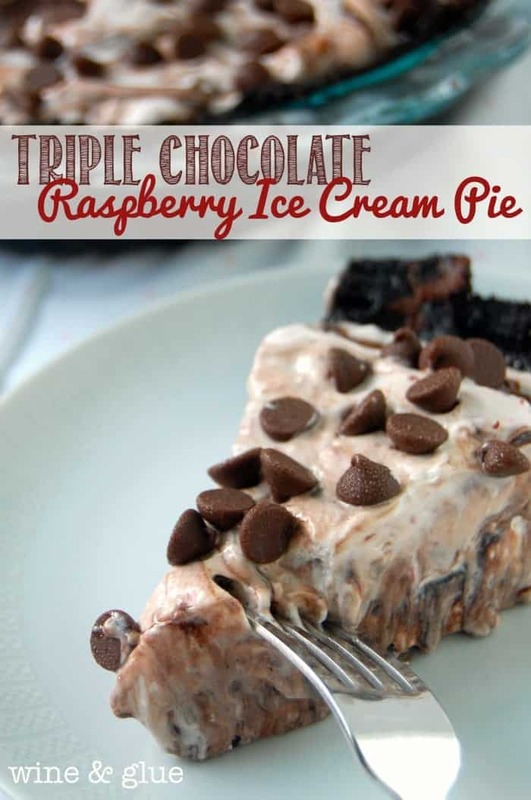 I based this recipe off of my Triple Chocolate Raspberry Ice Cream Pie, which is maybe the one and only dessert I’ve made for this blog that I ate ALL OF BY MYSELF. (Well, except cocktail recipes, but that goes without saying, no?) It was that good. This is the fall version of it. Needless to say, I’m getting it out of my house as soon as possible. Gently pull pieces off the cookie dough and press it into the pie pan so it makes an even layer. There are areas that are going to be thing, but that’s okay. Bake the pie crust for 18 minutes. Let it cool completely before removing the coins, and then gently pulling back the foil. 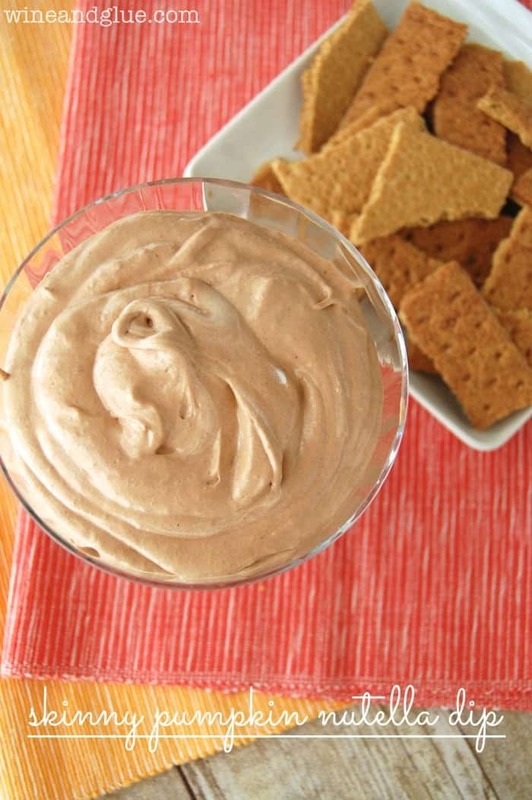 Once your crust is cooled, whisk the pumpkin into the cool whip. When it’s fully incorporated, mix in the sweetened condescend milk, and then 1 cup of the chocolate chips. Pour the mixture into the cool crust, and top with 1/4 cup chocolate chips. Cover your pie with tin foil and place on a level surface inside your freezer overnight. When you are ready to serve your pie, let it sit out for 10 to 20 minutes before slicing into it. 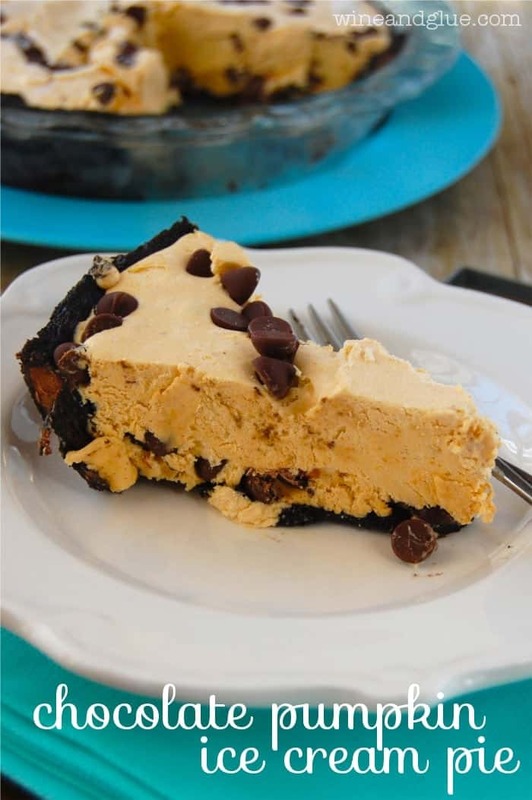 Looking for another great frozen pie? Need more pumpkin desserts in your life? I guess this goes to show that kids are resilient 🙂 This pie looks fabulous Lisa – pinned! The afternoons are the CRAZIEST around here too, with the kids getting off the bus and the younger two starting to realize it is almost dinner time. This pie looks yummy!! I do that a lot – eat the entire pie. I would with this one too! I’m sure you do, especially with all the insanely good looking pies you make!